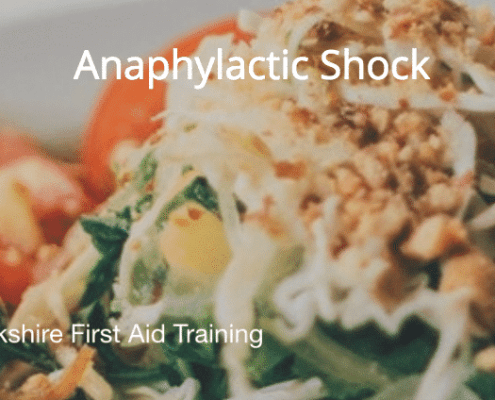 Anaphylactic Shock or Anaphylaxis as it sometimes known as is an extremely dangerous allergic reaction which can be triggered by prescription drugs such as Penicillin, reactions can occur with certain foods to and the more common ones are peanuts, seafood, insect bites, hair dye chemicals (that’s why hairdressers do a ‘patch test’ with customers), in fact there are lots of things that can trigger an allergic reaction. Asthma attacks are damn scary..
Asthma is becoming more common both in children and adults, you would have thought in this day and age that we would have eradicated this terrible potential life threating condition. 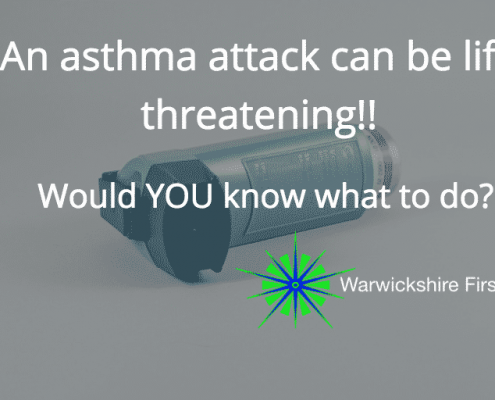 https://www.warwickshirefirstaid.co.uk/wp-content/uploads/2017/09/Asthma.png 512 1024 admin https://www.warwickshirefirstaid.co.uk/wp-content/uploads/New-Logo-July-2-300x67.png admin2017-09-05 21:05:472018-08-09 17:56:45Asthma attacks are damn scary.. 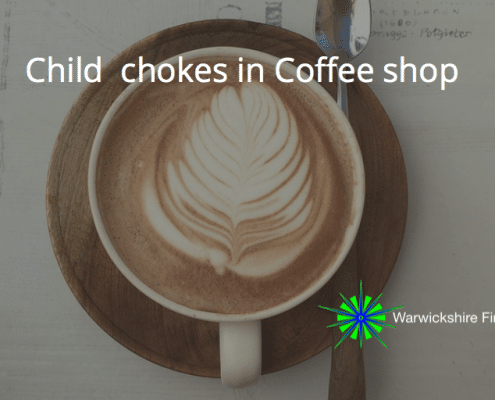 Recently I went for a coffee with a good friend of mine, anyone who knows me knows well, knows I use coffee shops a lot, both for social when catching up with friends during the day and also for business meetings if they are not too noisy too. 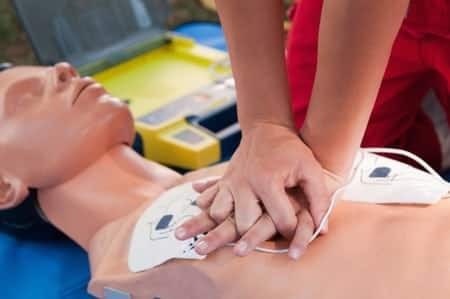 Am I breaking the Law with no first aiders on site? 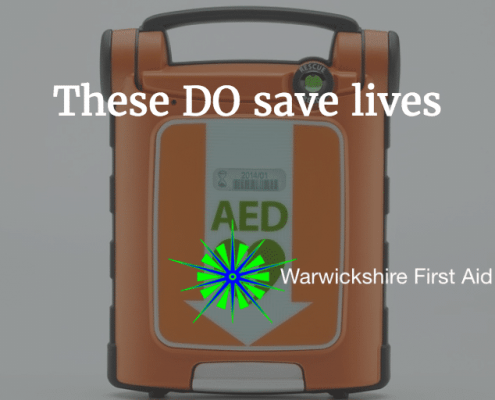 https://www.warwickshirefirstaid.co.uk/wp-content/uploads/2017/08/Assessment.jpg 281 450 admin https://www.warwickshirefirstaid.co.uk/wp-content/uploads/New-Logo-July-2-300x67.png admin2017-08-09 14:20:222018-08-09 18:37:31Am I breaking the Law with no first aiders on site? 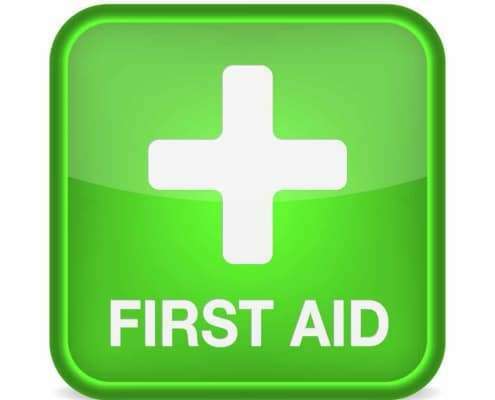 Finding and selecting a First Aid provider can be a daunting process for any employer or business owner, things have changed since 1st October 2013 because HSE no longer approves first aid training or qualifications. 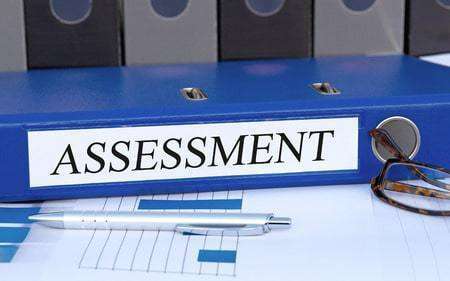 In March 2015 the Government put forward a proposal requiring that “all newly qualified Early Years Provider” to hold a valid Paediatric First Aid certificate in order to be included in the ratios required for early years setting.